Students! 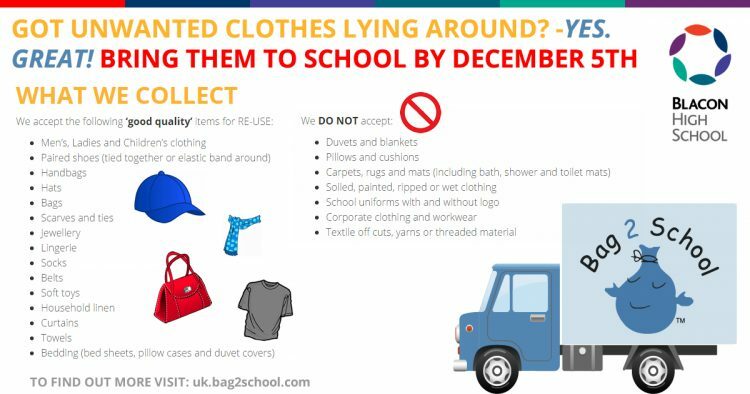 Got unwanted clothes lying around? Well bag them up and get them to school by 5th December. Check the image above for more info.